Picture a place in which every house lies on a plot of land, acres wide, providing room for animals such as cows, horses, and sheep. You most likely did not imagine this place to be located in the heart of Boca Raton, FL. Located off Clintmoore Rd., if your not paying attention, it’s something you might miss, but as soon as you enter, one can see people riding their horses on neighborhood roads as if they were cars. While you drive down a cascading archway of trees you come to the last street on the left, to what a stranger would assume is another home with a passion for horses. Horse Sense can not but judged by its cover, because once you learn of the miracles that take place here, it becomes a whole other story. 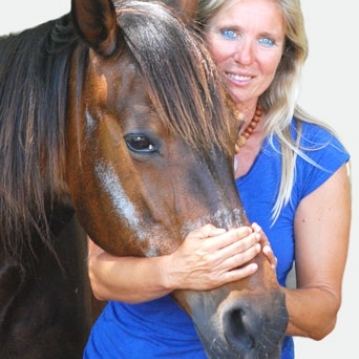 Anke Ebener is the president and tenant of the 5-acre land, and has built a non-profit organization, the Children’s Foundation for Equine Assisted Therapy, Inc. or F.E.A.T from the ground up. 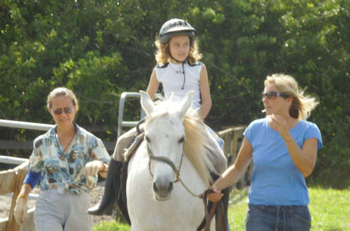 Since 2004, Anke has been helping children with mental disorders such as Autism, Cerebral Palsy, and Down Syndrome through horse therapy. Autism varies in aggressiveness from child to child. They can be born with genius abilities in certain subjects, but the condition inhibits the normal social and physical functioning as a result of misconnections in the brain. Anke started helping special needs children before she immigrated to this country from Germany. 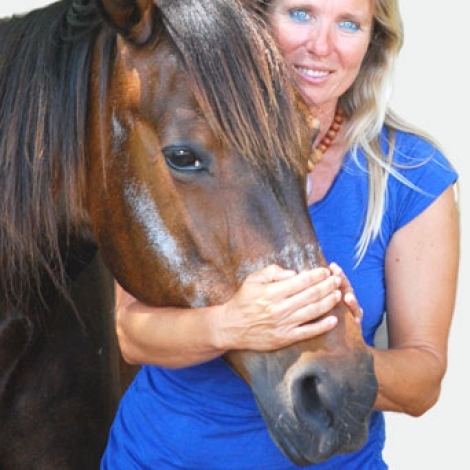 With over 15 years of prior experience, and a Bachelors Degree in Equine Science and certified as a horse trainer she works with her team of specialists during the therapy sessions. With the help from her crew of social workers, occupational, speech and physical therapists, she created her program to improve communication, physical skills, as well as motivating and encouraging the children with positive feedback. The team uses multiple practices of therapy during the individual or group sessions. The lack of physical control of the body including basic senses is a difficulty children with Autism and Cerebral Palsy have to live with. Physical and occupational methods can involve children sitting backwards on the horse to increase flexibility in the hips, or when they lie forward on the horse the leg muscles can strengthen. These movements develop brain connections that the child would not normally be able to do if it were not for the task of positioning oneself on to the horse. These young children may not show any fear of horses as opposed to the normal reaction. The movement of the horse actually becomes the calming factor for them. Using Classical Hippotherapy, the multi-dimensional movement of the horse can bring out the child’s senses and encourages them to speak. One can imagine the overwhelming joy of a parent seeing their child succeed for the very first time. Anke’s commitment to the work of helping children would not have started if it were not for the first child who inspired her. 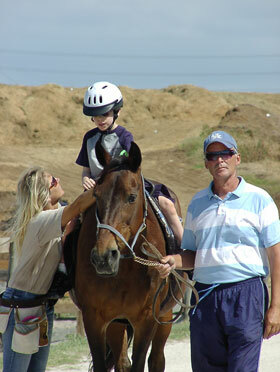 One of Anke’s close friends brought her son Alex to Horse Sense when he was five years old. Now at thirteen, he is developing the social and physical skills needed for an active life. Horseback riding is not the only aspect of F.E.A.T. that the children look forward to. After a physical therapy session with the horses, children get to participate in art workshops, where they get to harness their creativity and learn about themselves. Horse Sense, being a non-profit organization, uses the payment from the sessions to maintain the horses and property. The operation of the compound relies mainly on volunteers and donations to keep the cause going. Sometimes the most beautiful and charitable places in this world can be hidden from our sites, but once they are discovered, it is never a place to forget. Thanks to Anke, her team of specialists, and volunteers, a very special group of children can get the experience of a lifetime. And if it were not for the horses, Lucy, Buddy, Double Platinum, Mariah, and the pony Jenni, Horse Sense would not be the place it is today.